I believe we are destined to succeed, to be remarkable, achieve what we want, help others at the same time and leave a legacy. Only a few have got there, however, because of the many distractions we live in and our own limitations like fear of failure, doubts and self-limiting beliefs. There is also mediocrity – we live in a world of average people doing nothing important but always managing to keep themselves busy with daily tasks and worries. That prevents us from living our legend and unleashing our potential. It holds us back and we remain stuck for the rest of our lives. But the good news is that you can change that at any time. You just need to take the decision to become remarkable and to do a quick self-analysis. This includes something like a self-interview. 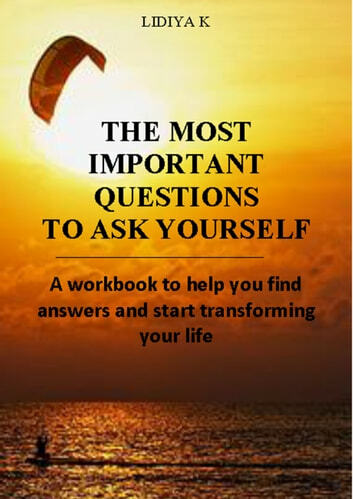 Questions are powerful and we can use them to get to know ourselves better, to find what we truly want and to understand how to get it. They can help us analyze what it takes to become successful and leave a mark in the world. 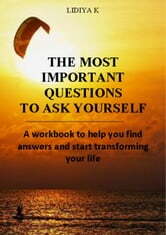 That’s why I’d like to share with you a short workbook I made. -to encourage us to take action when we have the answers. I hope you’ll benefit from it.